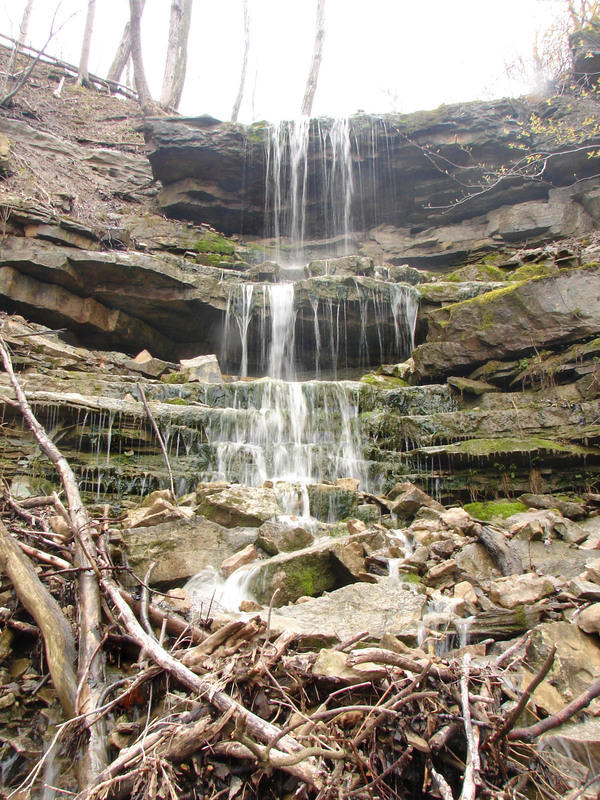 Pond Falls is a Terraced Ribbon Waterfall with three vertical drop sections. It measures 16 metres (52 feet) in height and 3 metres (10 feet) in crest width. 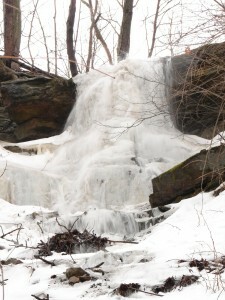 It experiences impressive flow during seasonal rainfalls and after the snow melt. 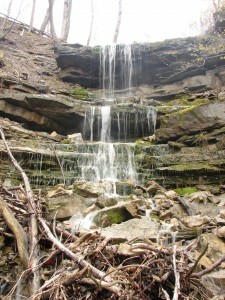 It is also known as Harvey Falls. 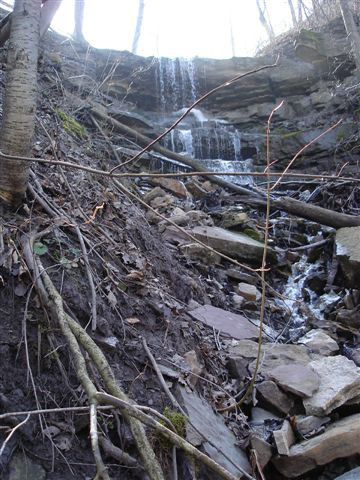 Twice when I was out along the Bruce Trail photographing the waterfalls between McNeilly Rd. 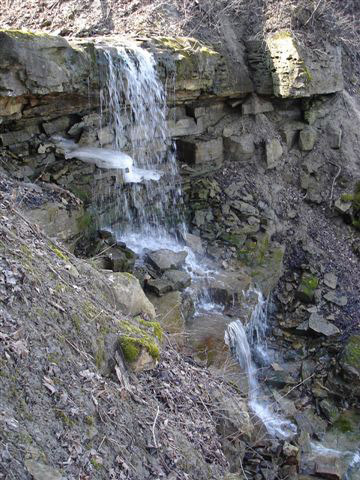 to east of Fifty Rd. 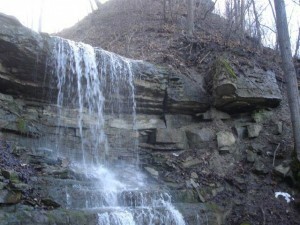 (Hamilton’s eastern boundary), I was out for five hours and I did not see any other people. This is a deserted area, even though it is the Bruce Trail and it is a good idea to bring some water and a cell phone. 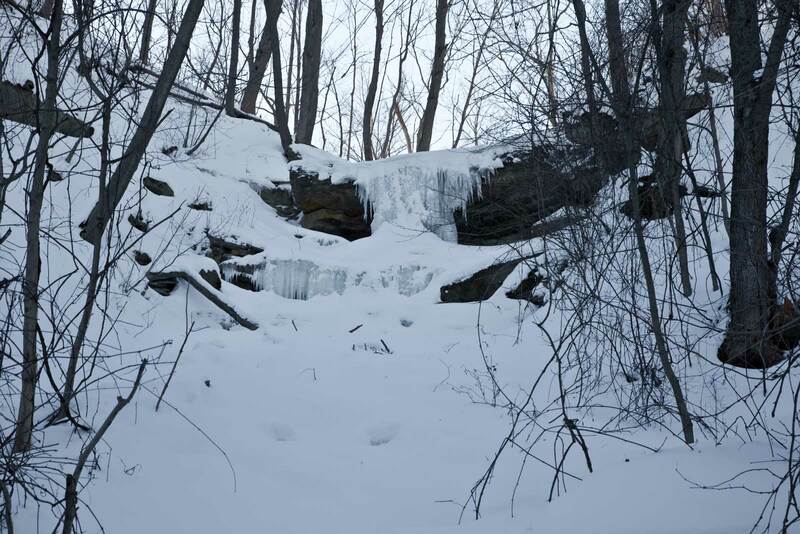 The last time I was there in winter, it was slow going through the snow, and after about four hours this hawk began circling me waiting for me to drop. 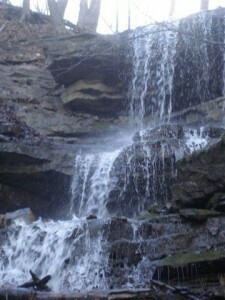 Pond Falls is located roughly halfway between McNeilly Road and Fifty Road in Hamilton’s far east end. Situated above the Bruce Trail, it can be seen from the Trail.